"It has been a long journey actually. I have been on this show since the first reading in Chicago two summers ago". Shared charmingly Patrick Rooney who I had the chance to sit and discuss October Sky with. Roy Lee Cooke is one of the original 'rocket boys' and one of the founding members of the 'Big Creek Missile Agency'. When most (if not all) of the men in the small town of Coalwood, West Virginia worked in the coal mines, Lee and his friends were headed that way, but instead of looking forward, they decided to look 'up' (Reference taken from this very interesting article) and that is how it all began. (clockwise from top left) Kyle Selig , Connor Russell , Austyn Myers , and Patrick Rooney. Photo by Jim Cox. 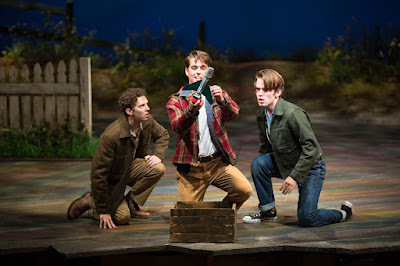 Being in a production of Godspell in Chicago at the time, Aaron Thielen, one of the Artistic Directors at the Marriott Theatre (and writer of the book for October), said to Rooney that they were doing a musical version of October Sky. "Do you want to be in it? do you want to be Roy Lee?..." That reading scaled to an audition the following year which lead to a summer of the show in Chicago and now, a run at The Old Globe. "It gets better and better, it has been fun". Patrick had never been to California before, what better way to start, with San Diego. "It is funny to say that I had to come to San Diego for cooler weather. Because Chicago is 100 degrees and like 90% humidity all summer. It's insane. The Old Globe is incredible. I get to come to this beautiful Balboa Park to work every single day. I couldn't ask for anything more"
The -Lee- character has had it's growth throughout the productions. "Roy has more of a cooler vibe this time around. This is amazing material and a better way to tell the story". 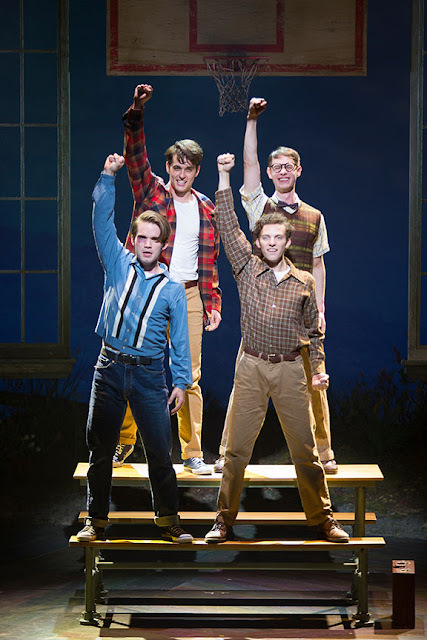 The new American musical will send your heart soaring and inspire your whole family to reach for the stars! but after the launch of Sputnik in 1957, the world’s race to space inspires local highschooler Homer Hickam to dream of a different life. Against the wishes of his practical-minded father, he sets out on an unlikely quest to build his own rockets and light up the night sky. 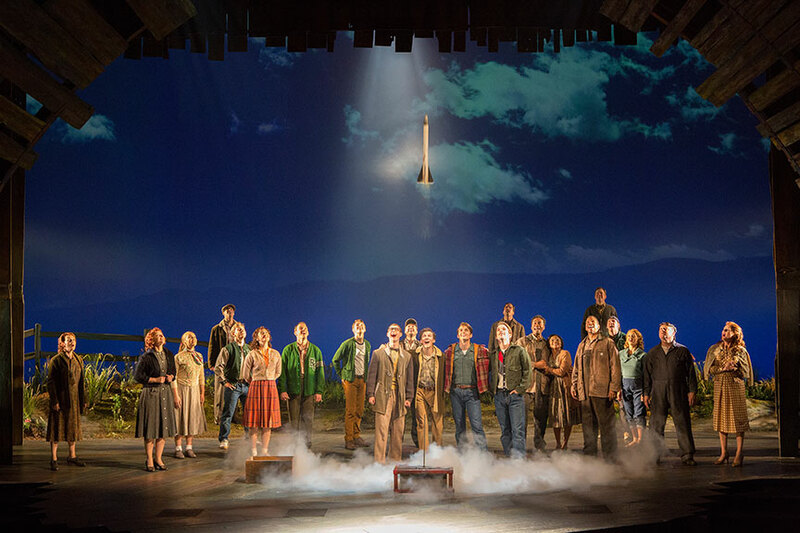 October Sky is an uplifting musical portrait of small-town Americana packed with youthful exuberance, and a sweeping, unforgettable new score. "It is a story about family, having a dream and having the perseverance and bravery to follow through with it against a lot of odds. It is not just about a boy and a dream. It is about how the community was inspired by this person." Differences between the movie and the stage? 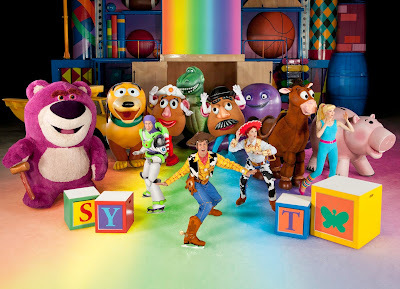 "It is the same story arch with the characters. The songs obviously make it completely different, the script is completely different... there are some lines that you will hear from the movie, that have made it all the way to our show but, I think overall, the energy and the storytelling is there, it is just being told in a different way, it is really cool". Inspired by October Sky features a book by Drama Desk nominee Brian Hill (Broadway’s The Story of My Life) and Aaron Thielen (Hero) and music and lyrics by Michael Mahler (Diary of a Wimpy Kid). 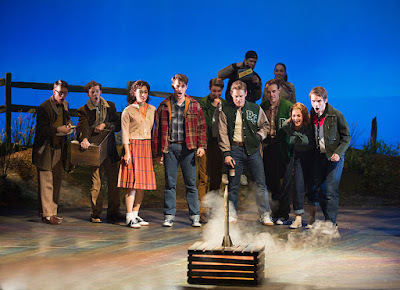 October Sky is directed and choreographed by Joseph Jefferson Award winner Rachel Rockwell (Brigadoon, American premiere of Ride the Cyclone)and produced in association with Universal Stage Productions (Wicked, Billy Elliot: The Musical, Bring It On: The Musical). "The fans of the movie and the book are really going to appreciate the feelings that you got watching that movie, this production at The Old Globe brings those in a new fresh, really heartwarming way". After his California stay, Patrick will go back to the windy city and prepare for the roll of Anthony in Sweeney Todd . Trying to keep the balance between work and leisure which Patrick calls 'interesting', he works out to stay healthy because these type of pieces take a lot of energy. This young lad's favorite SD spots (when he has a little free time from his 6 shows a week schedule), Little Italy, Coronado and off course Balboa! "It is so beautiful here". A replica of Sputnik, the Soviet Union satellite that launched the Space Race, will be on display in the Victor and Jane Ottenstein Lobby in the Old Globe Theatre. Get a fun and informative glimpse at the small piece of engineering that started it all. In association with the San Diego Air & Space Museum. FREE with price of admission. On the second floor of the Ottenstein Lobby in the Old Globe Theatre, rare historical photos will illustrate San Diego’s contribution to the Space Race. Find out about the impact made by our city and how it changed space exploration forever. In association with the San Diego Air & Space Museum. FREE with price of admission. The Space Race era was one of high Cold War tension and attempts by both America and the Soviet Union to steal the headlines with breathtaking space firsts. Francis French, space historian and Director of Education at the San Diego Air & Space Museum, will show with images from the era how propaganda and presentation were just as vital to the Space Race as engineering and technology, as each nation attempted to beat the other with missions as dramatic as anything seen on stage. In association with the San Diego Air & Space Museum. FREE. Francis French is an author and educator who specializes in space flight history. He has contributed to many books on the subject and has appeared on numerous television shows. He was most recently seen on PBS’s “American Experience: The Space Men.” In 2010, he was inducted into the US Space & Rocket Center’s Space Camp Hall of Fame. Following the 2:00 p.m. performance, Anai Novoa, a Ph.D. candidate at the Scripps Institute of Oceanography, will discuss the parallels of her career to October Sky: pursuing a life in science despite pressures and hurdles presented in her environment. In association with the Fleet Science Center. FREE with price of admission. Anai Novoa is a Ph.D. student at Scripps Institution of Oceanography investigating how parasitism interacts with species-range boundary shifts. She is a first-generation Mexican American and college student raised in City Heights. In light of the adversity she faced, she is both passionate about research and committed to serving underrepresented communities with scientific endeavors. Discuss the play with members of the cast and crew following the performance. FREE with price of admission. 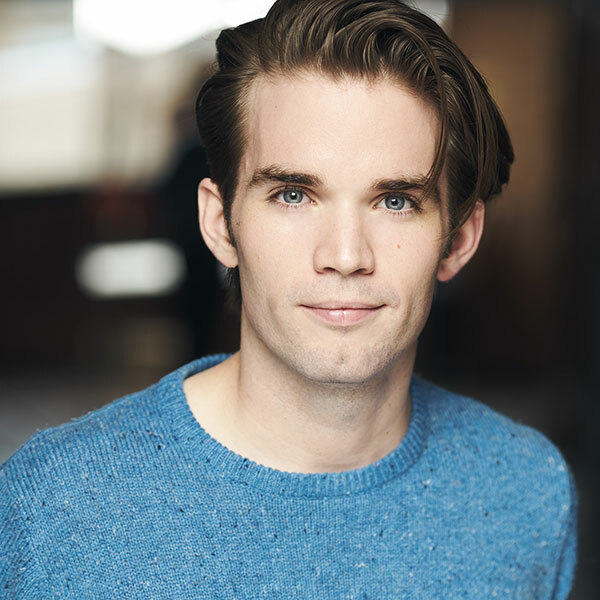 NEW MUSICAL VOICES: Monday, Oct. 17, 7:00 p.m.
To celebrate the opening of October Sky, The Old Globe will host New Musical Voices, a cabaret-style evening of songs produced in collaboration with the Musical Theatre M.F.A. Program at San Diego State University. Further details will be announced soon.